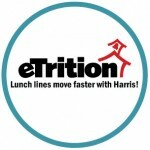 Harris School Solutions is excited to announce that Lavaca School District in Lavaca, Arkansas, has chosen to upgrade to eTrition, a cloud-based Nutrition program solution! The district is a long-time user of Harris’ Meal Tracker software. The move to eTrition will allow the Child Nutrition Department to increase operational efficiencies substantially by enabling its staff to work from any web-enabled device. eTrition’s technology also means that Child Nutrition staff will spend far less time on manual tasks and instead rely on scheduled, automated tasks to accomplish its daily activities.